A landmark bit of indie funk from the 70s – one of the few records cut by Detroit keyboardist Eddie Russ, and easily the best! The album features Russ going to town on electric piano – working with a hip combo called The Mixed Bag, which features some wicked work on flute and soprano sax by Larry Nozero – and a vibe that's a lot more laidback than standard funk, or even more mainstream jazz funk too – a sweet open groove that's mighty nice all the way through! The album's really a showcase for Nozero and Russ' solos – trading back and forth effortlessly over long tunes that roll along in a sweet electric-tinged groove – long vamping rhythms that really seem to drive both players onto new heights. 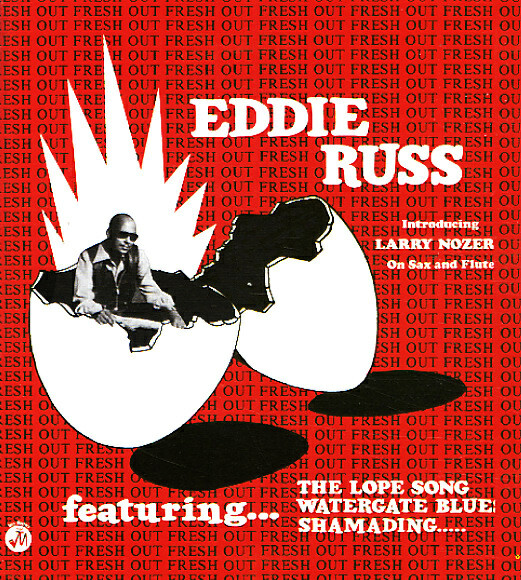 Titles include Russ' classic "The Lope Song", a great version of "Hill Where The Lord Hides", and the tracks "Shamading", "Watergate Blues", and "All But Blind". © 1996-2019, Dusty Groove, Inc.